Fort Worth = Spring Break, Seriously? When I first saw the blog from the Fort Worth Convention and Visitor’s Bureau inviting people to Fort Worth for spring break, I laughed. Seriously? Really? Don’t get me wrong. When my ex said we would be moving to Texas, I was devastated. All I knew about Texas was cowboys, pickup trucks, gun racks, dust, tumbleweeds, and dirt. Miles of dirt. Actually, I was almost half right. The phrase “Where the West Begins” is a reality when describing this town. Drive west only a few miles and that’s exactly what you have. Beyond Weatherford, trees get mighty scarce. The dust however, is constantly present. It sometimes arrives in storms. We had one week to find a house. On our first day of driving around the city, it was comforting to experience the many gently rolling hills and the actual trees and grass and flowers. Lots of flowers around town. I fell in love with this place. Even after my ex left in the ’80s, I made the conscious decision to stay here. I’ve been here since 1977 and I don’t really have any plans to relocate anywhere else. When I hear the term “spring break” however, I think in terms of college kids. Beer. Sun. Motels booked for two and holding ten. Swim suits. Beaches. Numerous activities that pay homage to a variety of physical pleasures. 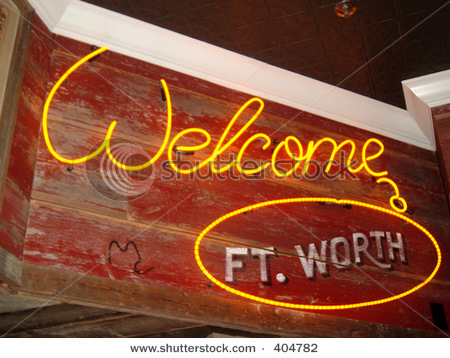 That does not connect with the image of Fort Worth. Take a look at what the FWCVB lists as great activities for spring break. Looking for the perfect Spring Break destination? With exciting events and activities, Fort Worth has everything to keep your entire herd happy. 1. See the Fort Worth Herd, the world’s only twice-daily cattle drive, and have an up-close encounter with a Texas longhorn. 2. Enjoy a variety of art activities during Family Fun Week at the Amon Carter Museum of American Art. Admission is FREE. 3. Celebrate St. Patrick’s Day at Cowtown Goes Green in the Fort Worth Stockyards National Historic District. 4. Learn all about money and how its made at the Bureau of Engraving and Printing. 5. Experience Grossology: The (Impolite) Science of the Human Body that uses high-tech, interactive exhibits to explain the good, the bad and the ugly about why our body works the way it does to keep us healthy. 6. Get outside and explore the Fort Worth Nature Center and Refuge through hayrides, canoeing, hiking and more. 7. Cheer on rodeo professionals as they compete in the Stockyards Championship Rodeo, home of the first indoor rodeo. 8. Take some “you” time by enrolling your little one in the Fort Worth Zoo’s 2012 Spring Break Camp. 9. View demonstrations of woodworking, blacksmithing, coopering, and more at Log Cabin Village. 10. At Spring Break Wonders at the Modern, children can create their own works of art after recieving inspiration from docent-guided tours of the museum. Once I stopped laughing at the idea of FW being a final destination for spring break for college kids, I realized that the FWCVB was not targeting them. The spring break they are advertising is for families. Now I’m not sure how many families are able to take a trip in March all together at one time, but they may be on to an untapped market. All of the items listed above are actually fun places to visit. They eliminated Six Flags but that’s because it is not in Fort Worth. It’s actually in Arlington, fifteen miles to the east. Glen Rose, about fifty miles to the southwest, has a few days of attractions as well at the Dinosaur State Park and the Fossil Rim Nature Center where you stay in the car and the animals roam free. I’ve been trying for years to get my nieces to bring their families down here but so far I’ve been unsuccessful. I think they view Texas the same way I did back in the 70s. They were here for a few days a very long time ago as children but I doubt they remember much of anything about it. I’m not a good salesperson. Of course you would have to rent a car if you didn’t have friends or relatives with a spare one to borrow. Texas is still bent on building tollways rather than mass transit. Fort Worth is definitely in that catagory. Dallas is on its way, but FW is still stuck in the 50s only with limited bus transportation. The more I think about it, the more I think Fort Worth, for adults or families, is a great destination point for spring break. The weather is still not too hot. You can skip the cowboy scene after one day when you realize there’s more to FW than cowboys. A lot more. Just don’t bother to bring a bikini. A friend of mine posted this message on Facebook. I’m wondering if the message it carries is mentioned yet in health classes. The message should start by the time kids are ten. I was of the era where I copied my older sister. During the summer before I was even a teen, I would slather my body in baby oil and lay out in the sun hoping for the prized golden tan. I did not make the connection between baking a turkey and baking myself. As a child, I always had several sunburns during that three month respite from school. The last time I lay out in the sun was in 1970 when I took a spring break road trip to Florida with a couple of friends. That first day there the temperature was so perfect it was unbelievable. We had come from the ice lands of Illinois where Winter refused to relinquish her iron hold of the season to mild, kinder Spring. In Florida I had reached Nirvana. The breeze was gentle and warm enough to envelop me in a soothing cocoon of exquisite pleasure. The sand on the beach was as soft as a feather bed. The whole explosion of color of water, palm trees, sand, and beach towels tricked my mind into thinking I was in a fantasy world created by Disney. I lay on that beach for what seemed several hours. My two friends were only slightly tan. A couple more hours and I could have been served for Thanksgiving dinner. That was the first and last time I appeared on the beach for the rest of the vacation. I had met a young man that day who loaned me a shirt. Even with just the covering of that over sized shirt, I was in agony. The cloth which felt so soft in my hands felt like sandpaper on my shoulders. I could not sit, stand, or recline without tremendous discomfort from being touched. Of course, as the days went by, my skin became even stiffer to bend, adding to my misery. I was destined to spend the rest of the week indoors in absolute pain on every inch of my body not covered by my two piece suit. I was alone while my travel mates enjoyed themselves. I didn’t even ask them what they did during the time I was left alone in the house. Left to my absolute misery. Something happened that week to change my sun habits the rest of my life. The sun poisoning I received that day set me up for limited sun exposure the rest of my life. It takes very little time for me being in the sun for me to develop a rash. That had never occurred prior to that trip. Sunscreen helps, but I still must limit my exposure. There was a period of history where I laughed at the sun. Now I must observe closely for the inevitable red dots and get out of the sun as soon as they begin to appear if not sooner. There was a time when the more pale a woman was, the more beautiful she appeared to be. Now I just look “washed up”. 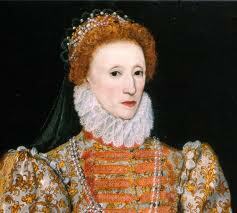 My paleness would give Queen Elizabeth I stiff competition without any white lead and vinegar make up. I have to take large doses of Vit. D because I avoid the sun. Although the video stresses that melanoma is a cancer of the young, it can affect people of all ages. My father had a cousin who farmed. He was out in the sun every day. He wore a cap but didn’t use any sunscreen. His wife one day noticed a problem behind his ear. It was allowed to grow because it was not noticed. By the time it was discovered, there was very little that could be done. I love boating, swimming, and yes, even sitting in the waves at the beach. But my time in the sun is so short it usually is not worth the effort. So, dear 16 year old me, will it be worth it to enjoy yourself so long in the sun when you are twenty four? Think about it. And when you are my age, never forget to get your skin checked often.